Millhouse Refracted (Yellow), 2013. Oil on Belgian linen, 78 x 60 in. Wright Refracted (Orange), 2014. Oil on Belgian linen, 65 x 50 in. 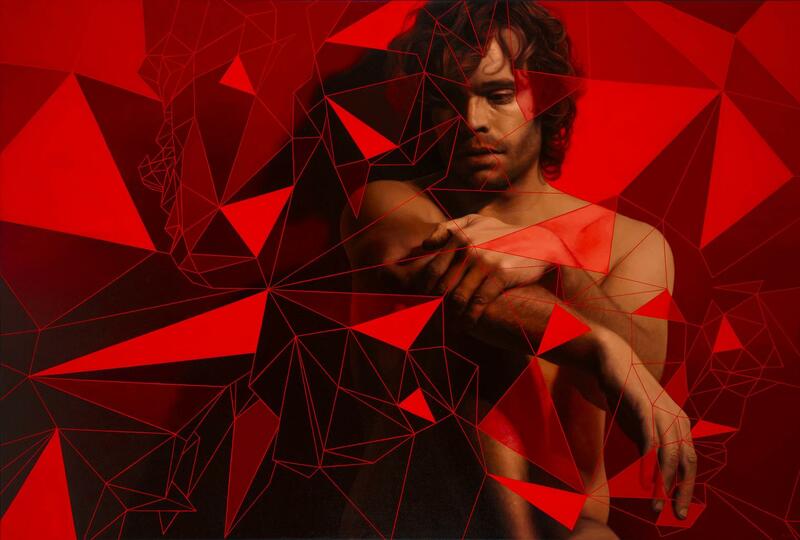 Miels Refracted (Red), 2014. Oil on Belgian linen, 48 x 71 in. 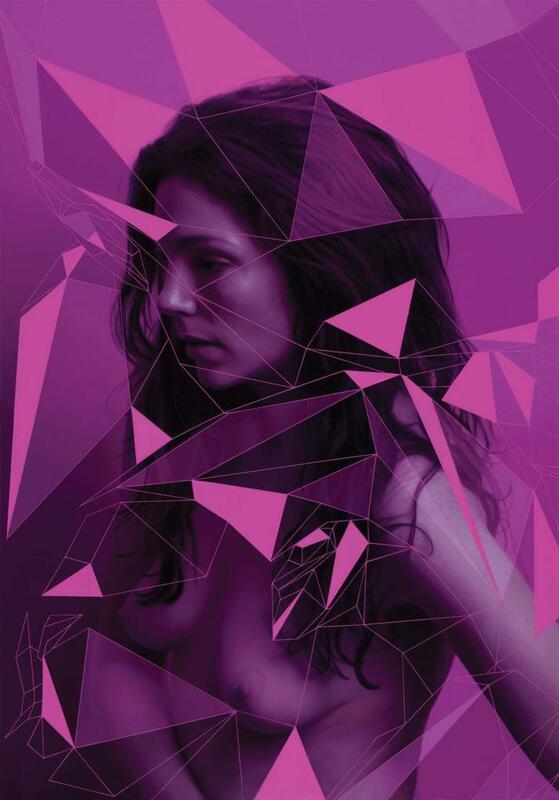 Millhouse Refracted (Magenta), 2014. Oil on Belgian linen, 60 x 42 in. Noble Refracted (Blue), 2014. Oil on Belgian linen, 57 x 81 in. 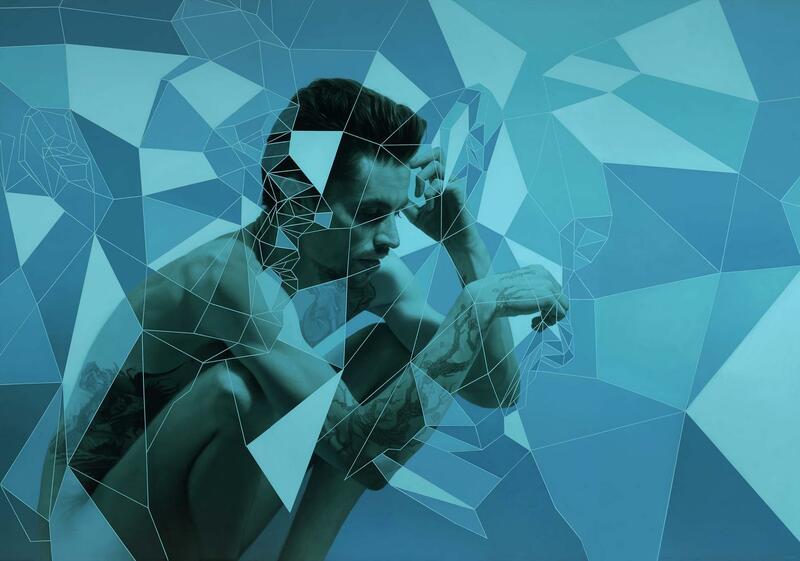 Wright Refracted (Cyan), 2014. Oil on Belgian linen, 70 x 50 in. 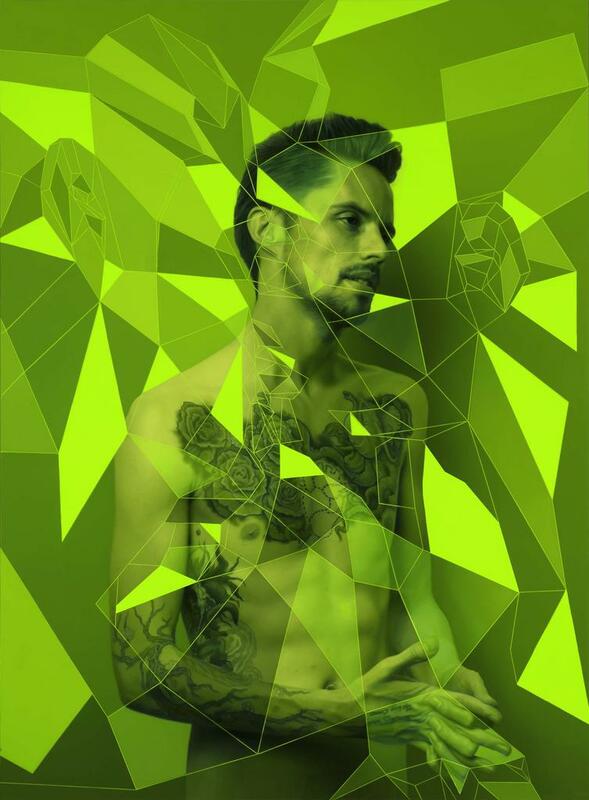 Noble Refracted (Green), 2014. Oil on Belgian linen, 75 x 55 in. 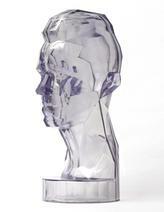 Feder Refracted (Black), 2014. Oil on Belgian linen, 65 x 90 in. 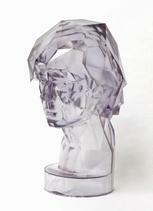 Miels Refracted (White), 2014. Oil on Belgian linen, 67 x 48 in. 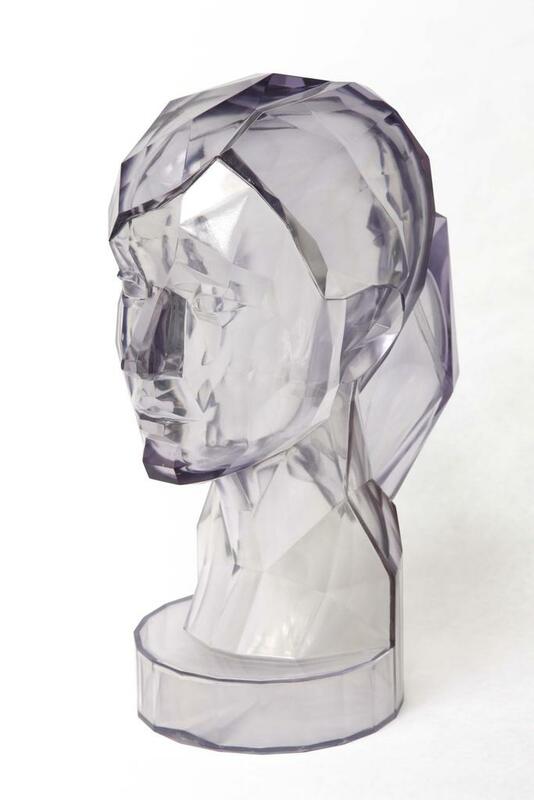 Feder Prism, 2014. Photopolymer, 14.5 x 6 x 10.5 in. 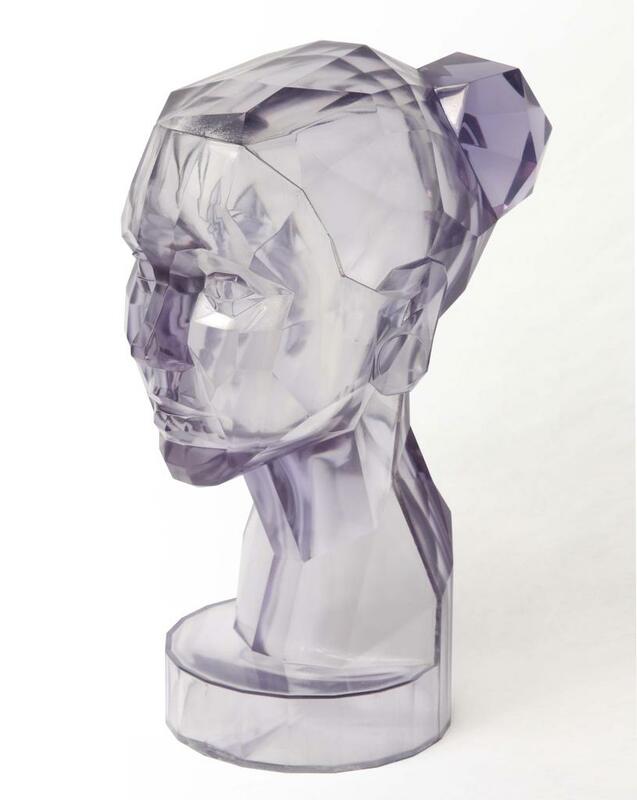 Miels Prism, 2014. Photopolymer, 14.5 x 7 x 9 in. Millhouse Prism, 2014. Photopolymer, 14.5 x 6.5 x 8 in. 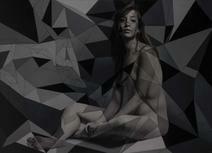 Noble Prism, 2014. Photopolymer, 14.5 x 6 x 8 in. 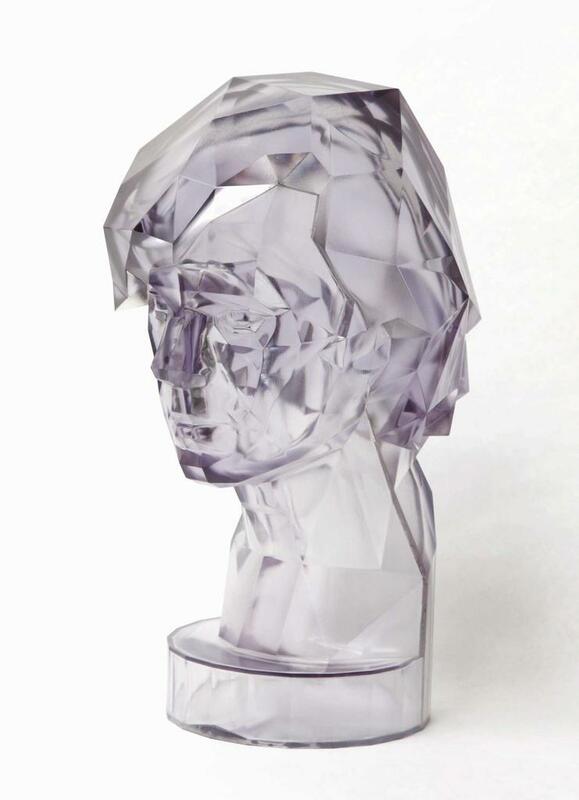 Wright Prism, 2014. Photopolymer, 14.5 x 6 x 10 in. 101/EXHIBIT presents Robin Eley - Directed by Juan Maristany from 101 Exhibit on Vimeo. 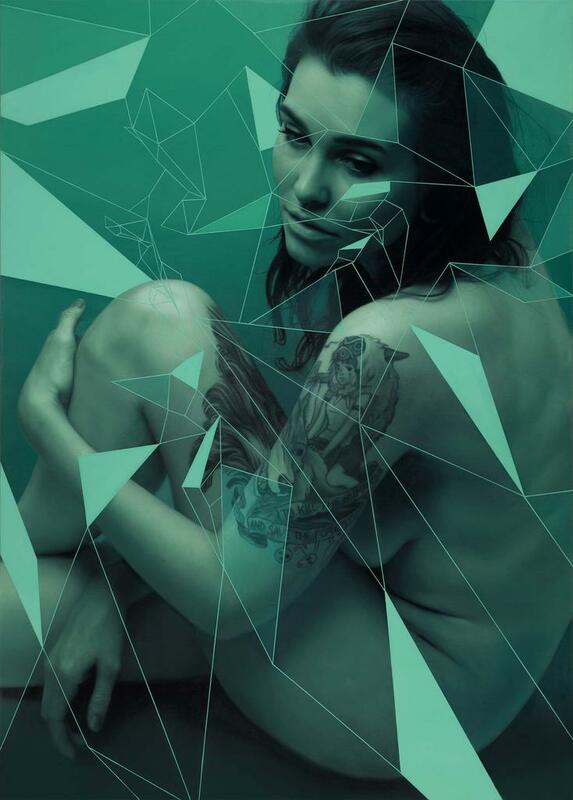 101/EXHIBIT is proud to present Prism, a solo show by Australian artist-in-residence Robin Eley. 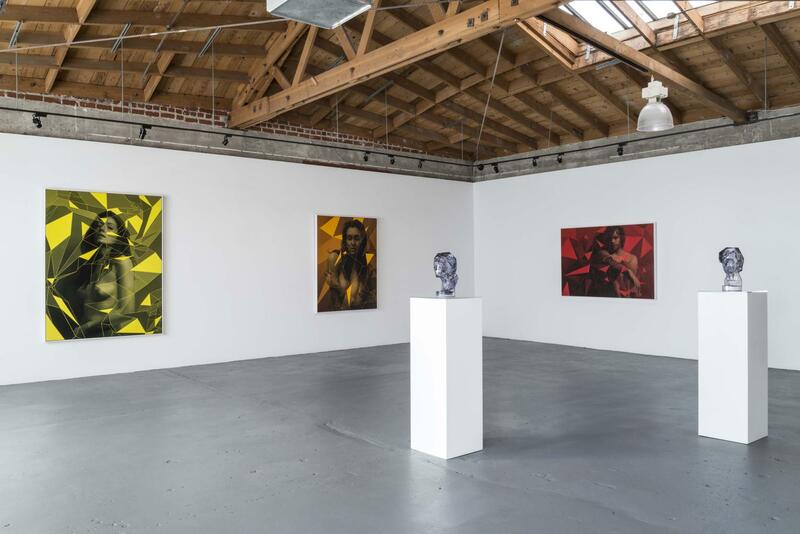 The show will feature an installation comprised of nine new oil on Belgian linen works and five innovative 3D-printed photopolymer sculptures. The exhibition will be accompanied by a 32-page show catalog featuring an essay written by Venita Poblocki, curator and visual arts coordinator for the Willoughby City Council in Sydney, Australia. The opening reception with the artist will be held on Saturday, October 18th, from 6 – 8pm, and the exhibition will conclude on November 29th. Prism will be located at the 101/EXHIBIT Hollywood space, located at 6205 Santa Monica Blvd on the corner of North El Centro Ave, one block east of Vine St. The realist/geometric abstract hybrid paintings and crystalline sculptures of Robin Eley present an understanding of identity constructed as much by technology as by visual reality. 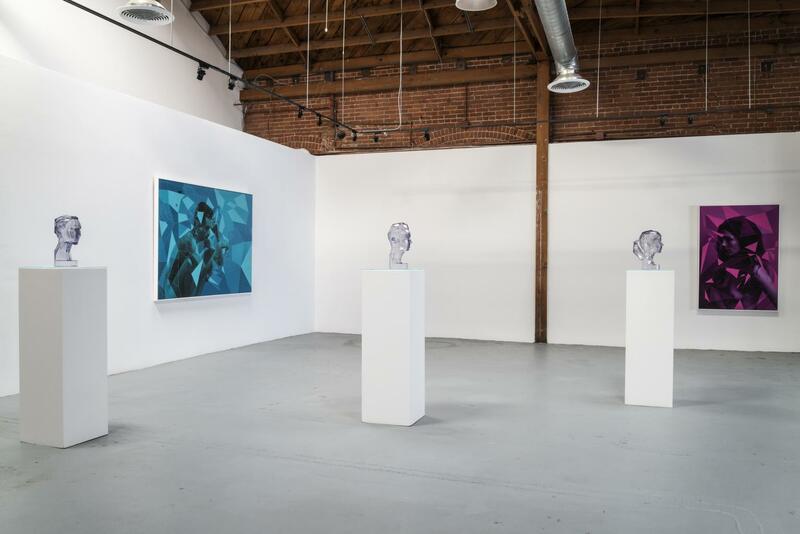 Prism’s juxtaposition of traditional oil on canvas portraiture with 3D-printed synthetic avatars looks to challenge the presumed separation between today’s physical and digital selves. In a marked transition from his photorealistic painting, Robin Eley’s work is now compelled not only by meticulous execution but also by quality of lingering detachment. Every work in Prism begins with a digital model of each subject built on the 3D software platform Maya that has been simplified into an economic low-poly framework. This “wire frame,” as Eley refers to it, articulates enough visual information to function as a portrait, but lacks any nuance of human identity. 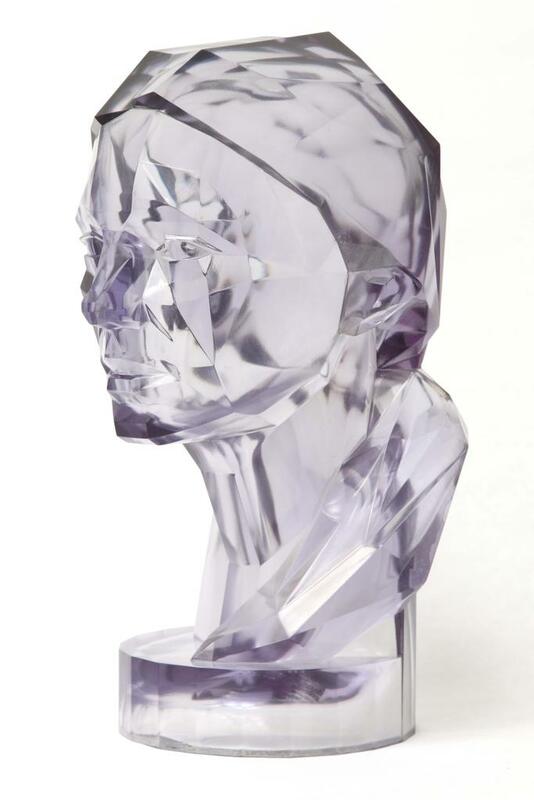 Maximizing the process' synthetic nature, the digital frame is 3D-printed in a series of interlocking photopolymer pieces, painstakingly sanded, glued and hand-polished to make an expressionless transparent bust. The clear prism casts no shadow, and lends little information about the person it represents. In a comment on our increasingly important digital identities, the prism is unrecognizably entrancing yet wholly empty, only refracting, reflecting, and distorting information from its surroundings. The abstracted digital portraits (upon which the prisms are based) then become the framework for the faceted color spectrum portraits. 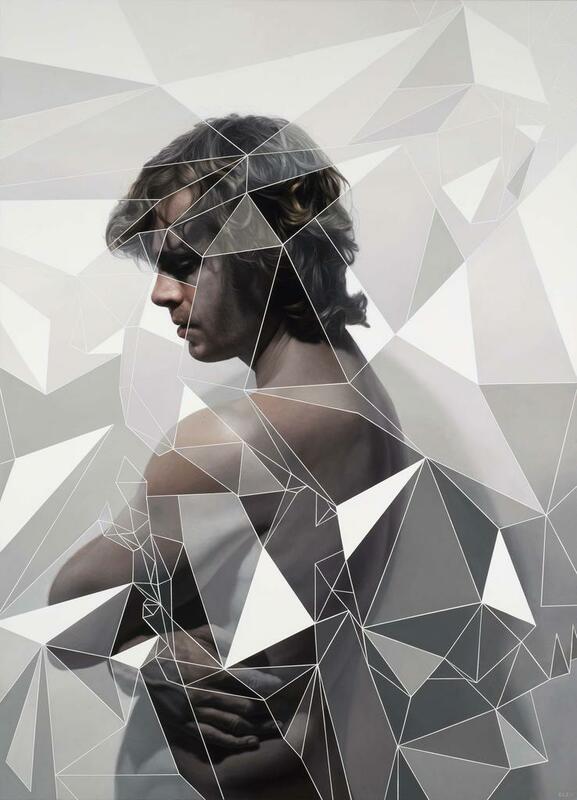 Each a manifestation of a single color taken from the color spectrum as well as black and white, Robin Eley’s paintings vibrantly defy their own careful execution: the realism of the figures distorted by their own technological malleability. Here, the rendered wire frame is superimposed over flesh, enhancing and obscuring the human likeness beneath. Born in 1978 in London, England, Robin Eley and his family migrated to Australia in 1981. He then moved to the United States to attend Westmont College in Santa Barbara, CA, where he earned a Bachelor’s of Fine Art in 2001. Eley’s work is currently featured in the Fort Wayne Museum of Art Contemporary Realism Biennial, where he was awarded an Invited Artist Juror Merit Award, and will also be included in an upcoming exhibition at the National Portrait Gallery of Australia. His solo exhibitions include Idolatry (2013) and Singularity (2012) both held at Hill Smith Gallery in Adelaide, South Australia. Eley has also shown previously at the inaugural 101/EXHIBIT group show, Koi No Yokan (2013) and Journeys at the Ridley Tree Museum of Art in California (2012). Robin Eley has been a finalist in numerous Australian art prizes, most notably Runner Up (2010) and Highly Commended (2011) in the Doug Moran National Portrait Prize, the world’s richest prize for portraiture. In addition, he has also been a finalist in the Archibald Prize (2012) and the Eutick Memorial Still Life Art Prize (2010, 2012). In 2012 he was the recipient of an International Presentation Grant from Arts SA, enabling him to accept the artist residency invitation extended to him by 101/EXHIBIT here in Los Angeles. Eley’s work is held in numerous private art collections around the world and has recently been acquired publicly by the Ridley Tree Museum of Art in the United States. 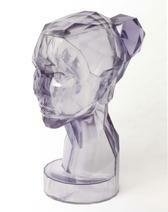 Eley currently works and resides in Los Angeles, California. 101/EXHIBIT was founded in 2008 in Miami, FL. Named after its original location, 101 NE 40th St., the gallery actively represents an international group of prolific emerging and established contemporary artists. 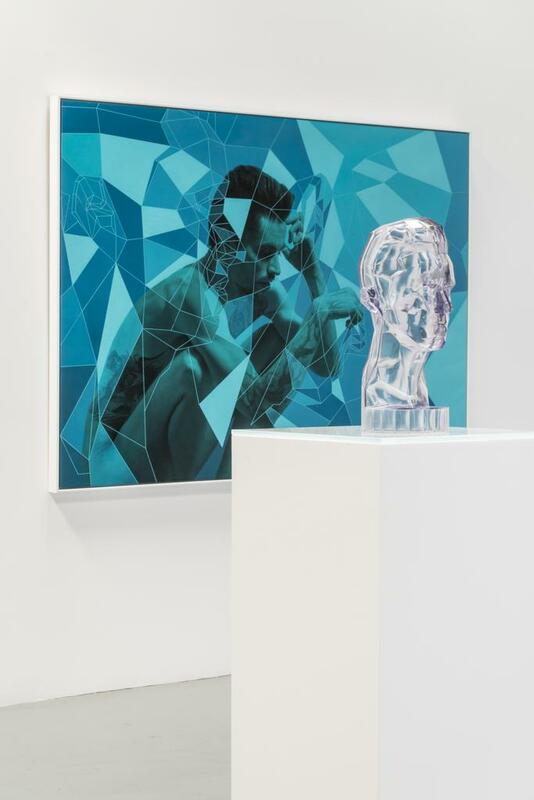 Initially built around artists who emphasize the human form and figurative concerns, the gallery program embraces unparalleled craft, counter trend experimentation, New Media, and deviations into abstraction, installation-forward, and object-based works to expand the greater initiative of the program.